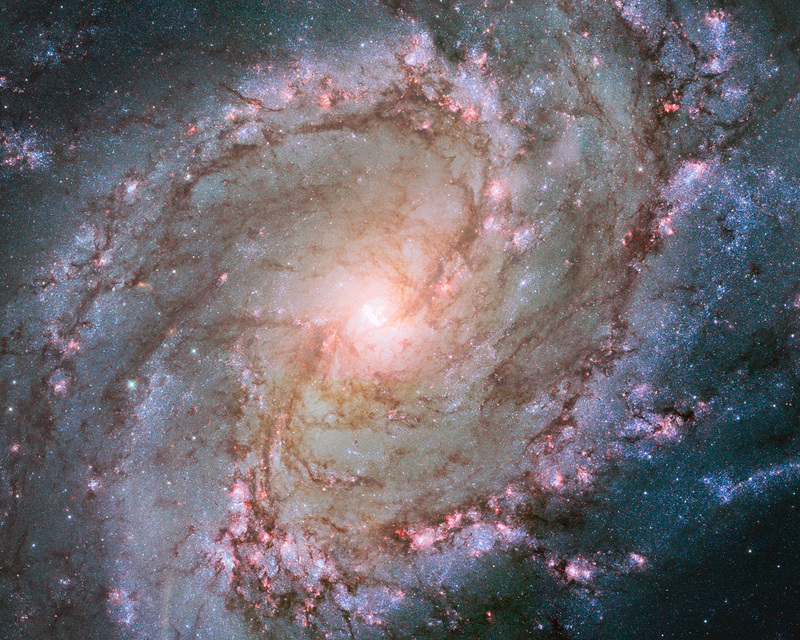 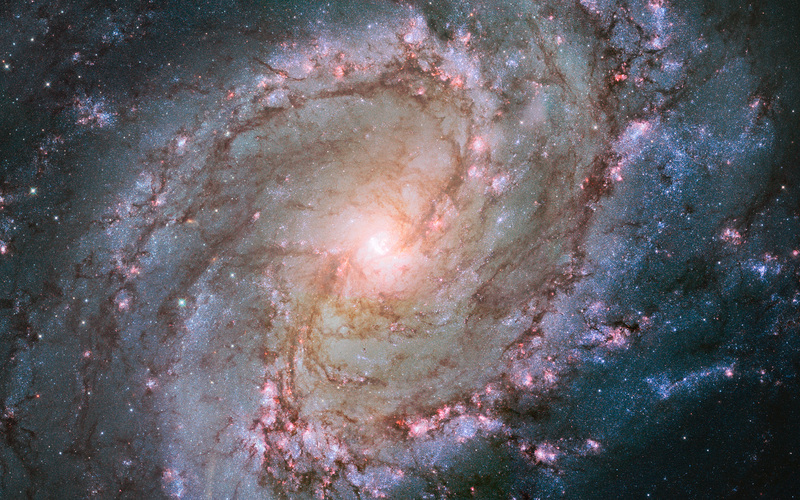 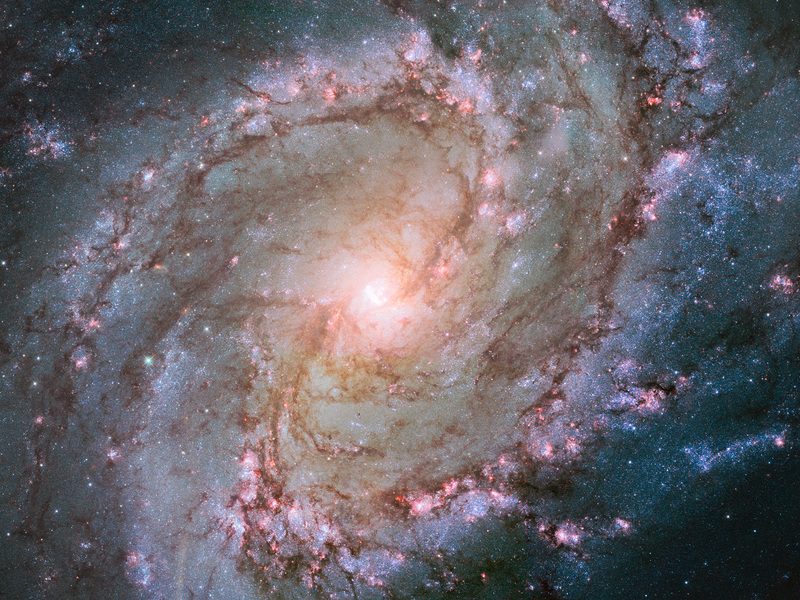 This new Hubble image shows the scatterings of bright stars and thick dust that make up spiral galaxy Messier 83, otherwise known as the Southern Pinwheel Galaxy. One of the largest and closest barred spirals to us, this galaxy is dramatic and mysterious; it has hosted a large number of supernova explosions, and appears to have a double nucleus lurking at its core. 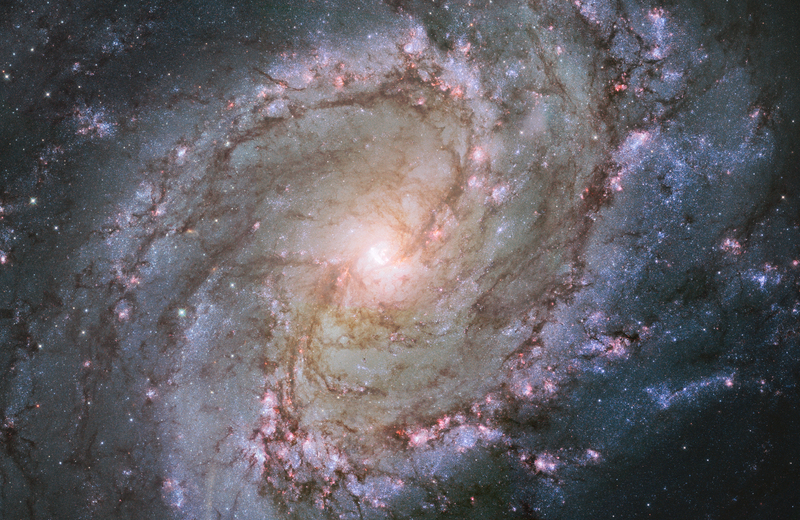 Position (Dec): -29° 51' 47.48"